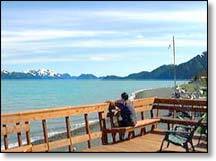 Alaska Saltwater Lodging offers one of the best waterfront accommodations in Seward, Alaska. 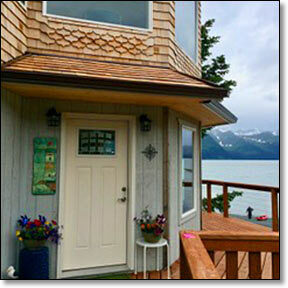 Our cottage is located at Lowell Point on Resurrection Bay. From the front deck watch sea otters, sea lions, bald eagles, numerous sea birds, and even the occasional whale. 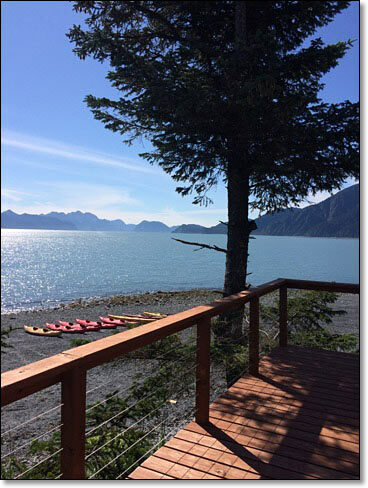 Walk the beach, go for a kayak paddle, hike the trails, fish for salmon or view the acrobatics of our silver salmon as they leap from the water. These adventures are all available just outside your door. Like most visitors to Southcentral Alaska, you won't want to miss the state's best saltwater fishing. 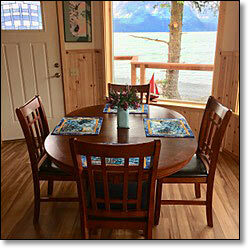 Alaska Saltwater Lodging offers custom saltwater fishing packages for salmon, halibut, bass, snapper, and more. For those who would like to try some fishing but don’t want to sacrifice a chance to also go sightseeing, we offer a Combination Fishing/Small Group Whale Watching, Wildlife, & Glacier Trip. 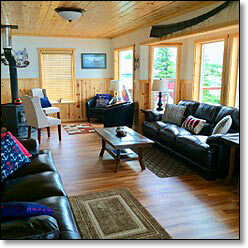 We hope that we offer what you are looking for in your Alaska vacation. If you have any questions please don't hesitate to call or write.